Enter the microcosm of a thrilling new platform. Begin by reading the brief summary below. The death of a child is every mother’s worst nightmare. 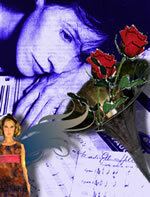 But Lily Barrington soon discovers the brutal murder of her daughter Rachel was not just a simple homicide. Rachel, Lily learns, was the subject of an elaborate genetic experiment – an experiment that created both the exotically beautiful, exceptionally gifted singer that was her child… and the composition Rachel released to the world the day she was killed. A composition that contains within it a power that could literally change the world. Deep within the hidden recesses of Washington D.C.’s National Archives, Lily unearths centuries-old documents that hint at the nature of that power. She is shocked to find clues suggesting it is woven into the very DNA of a select, secretive group of individuals: her own family, the Barringtons. That power has made the Barringtons extraordinarily wealthy and influential – and has enabled them to direct mankind’s affairs since medieval times. Rachel’s song unwittingly released that power to the world. The fight to control it sets in motion a globe-spanning chase that soon draws in not only other members of the Barrington family – including Lily’s estranged husband Henry, a brilliant scientist who has been working to recreate the Barrington’s power through technology he calls MEND –but Rachel’s fans as well. A chase that brings Lily face to face with both bloody, terrifying death… and the promise of new life. Because contained within Rachel’s song… within the power that is Lily’s family birthright… is the secret that can enable her daughter Rachel to live once more. As in the Harry Potter franchise… the Twilight novels… the X-Files… the SKELETON SCORE instantly plunges audiences into an alternate reality… a world that seems exactly like our own… until the secret order behind it is revealed. The SKELETON SCORE is the first novel in a planned five-book series introducing the MEND concept and the Barrington family to readers. That world is our own. That future is now. Based on concepts developed by acclaimed, award-winning composer/author Mardi-Ellen Hill (a Wall Street Woman of Note, a 2-time NEA Award Winner, recipient of a fellowship from the National Endowment for the Arts and numerous other honors), MEND is built from the ground up to take specific advantage of new digital storytelling platforms as well as traditional media. Replicating Henry Barrington’s device is but the first of many ways MEND can operate in the real world. This encode/decode technology is available for deployment across a multitude of consumer/provider platforms. Trailer opens the path to the dynasty home. Mardi-Ellen Hill is a two-time recipient of an NEA for a New American work. She has won numerous awards, honors and prizes for her stage work and music composition. 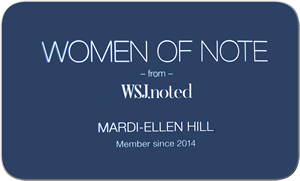 Ms. Hill is a Wall Street Journal ‘Woman Of Note’. She is called upon regularly to speak as a thought-leader and contributes to trade magazines using her MEND™ application in corporate issues and strategy. She recently spoke on international panels at the Hotel Penn and Tavern On the Green. Superstition meets modern science when a woman with a haunted past becomes the subject of a genetics experiment using her DNA. Two children write a melody with an encrypted message only she can decode. The message holds sensitive familial information being sold to the US government by her lover who has the goods on her well known family, and bigger targets waiting on his killer radar. The psycho thriller tells the story of three generations of a family in a fight to retain their power, when a new invention MEND™ (Music | ENcode | Decode) outs their interstellar secret to their singular force and influence in the cosmos. For more information about MEND™ Platform licensing, sales and speaking engagements, contact Mardi-Ellen Hill.